If you’ve been arrested in the Kansas City metro area and the court has not decided to hold you without bail, you have various options for release from jail pending trial. If the court has not decided to release you on your own recognizance, you may be allowed to post bail for your release. If you can’t afford to post the full bail amount in cash, you may be able to acquire a bail bond. The property used to secure your bond is known as collateral. Depending on the amount of your bail, you may be able to use various types of property to secure the bond. For higher bail amounts, real property such as a home, or higher-priced items such as a boat or motor vehicle are often used. For lower bail amounts, items such as jewelry, firearms, computers, or other types of electronic equipment will often be sufficient to cover the bail amount. Your Bratten Bail Bondsman will be able to explain in more detail the types of property you may use for this purpose. When using a Bratten Bail Bondsman to acquire your secured bail bond, you will pay a fee for the bail bondsman’s services (called a bail bond premium). The fee generally ranges between 10% and 15% of the bail amount and is set by state law. Check with your local Kansas City area Bratten Bail Bondsman to find out the percentage required in your state for a secured bail bond. Whether you deal directly with the court or use Bratten Bail Bonds, when you use real estate to secure your bond, only your equity in the property will be considered. If you secure your bond through the court, you will acquire what is known as a “property bond.” Courts typically require that your equity in the property equal at least 150% to 200% of the bail amount for a property bond. The paperwork can be expensive, and the process can take several weeks to complete. It would be well worth your while to call a Bratten Bail Bondsman (816) 415-4448 to discuss your options for a secured bail bond before deciding whether to acquire a property bond. Not only might your terms be better and the process faster, but your bail bondsman will provide many services that can help you more effectively navigate the bail bond process. 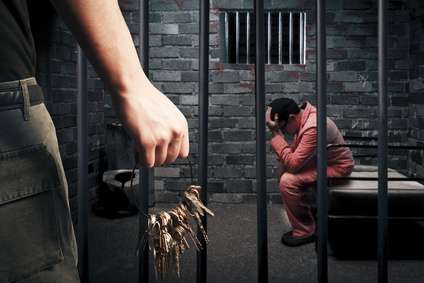 You can either contact a bail bondsman directly at (816) 415-4448 or connect with us through your lawyer.